Do you ever find that you just don't get enough use out of some of your stamps? I certainly do! One of those was the Howl-o-ween Treat stamp set. I won this set at a Stampin' Up! event and absolutely love the owl BUT I don't make Halloween cards. So I had to find alternate uses for it. I made a congrats card a few months ago, which you can see here (CASE'd from a swap I received from Diana Gibbs). 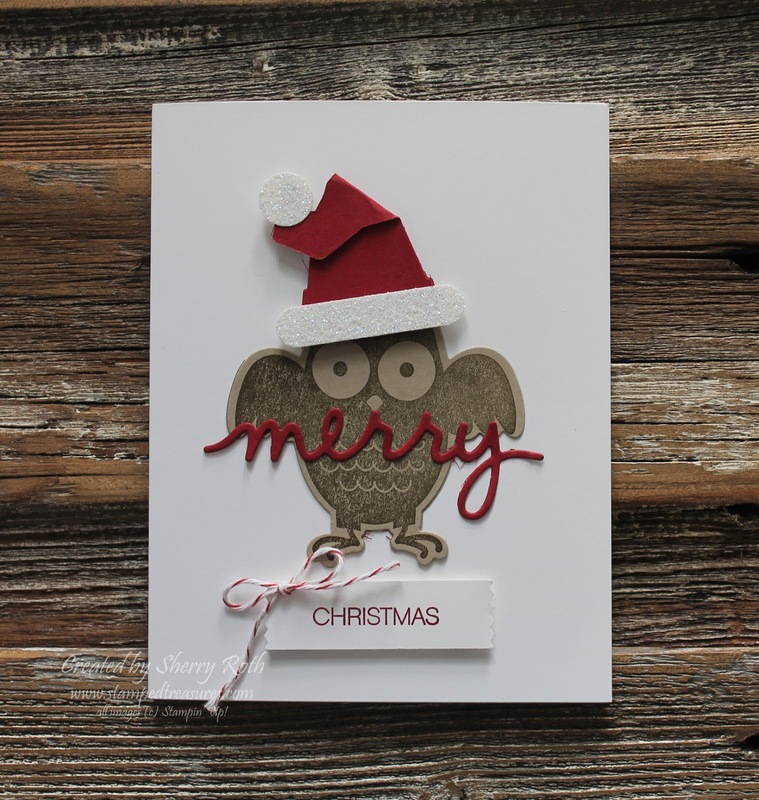 I still didn't feel that was enough, so I was inspired by a card on Mercedes Weber's blog where she created a Christmas owl and that was the solution! 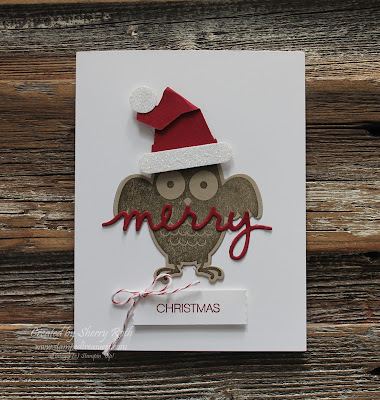 These are the cards I made for my team this year - aren't they adorable?! I absolutely LOVE this owl and am sad that it isn't carrying over because I'm sure there are many more uses - how about a grad cap and holding a scroll?